platter, and requires effort to reach. under the guidance of an expert guide. The speleo adventure starts at the training ground Speleolit. After you have been given the necessary speleo equipment and acquainted with the safety codes of using the same, the practices of descending and climbing the rope begins. When all the participants have mastered the speleo technique, we enter the nearby cave. 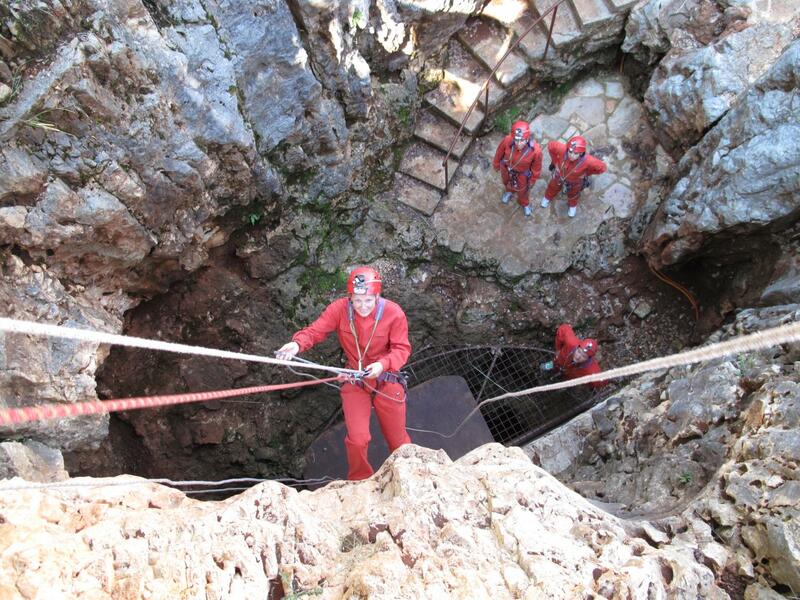 We go down to the depth of 35 metres, mastering all the pot-holes with the use of the rope. 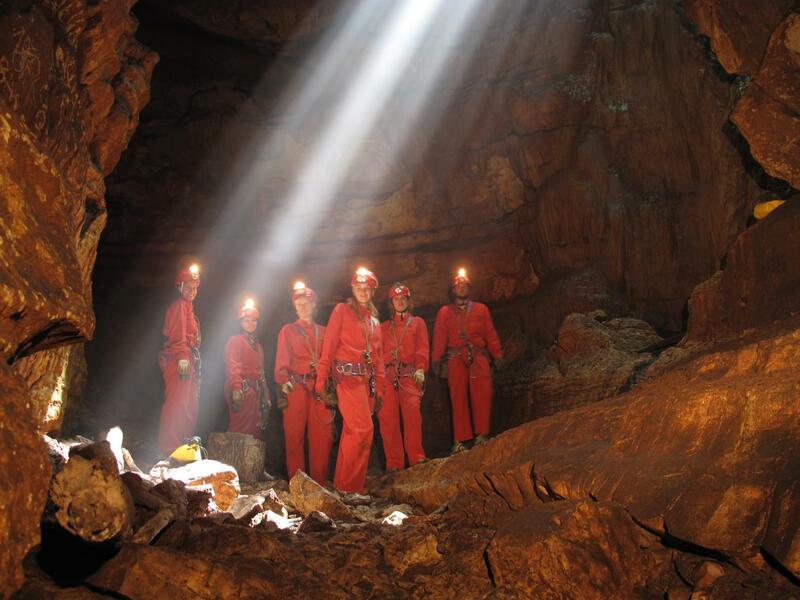 Participants are provided with speleo equipment, helmet with light and coveralls (due to the cave temperature of 10°C). Participants must have their own footwear (sport shoes or hiking boots)- sandals are completely unsuitable. 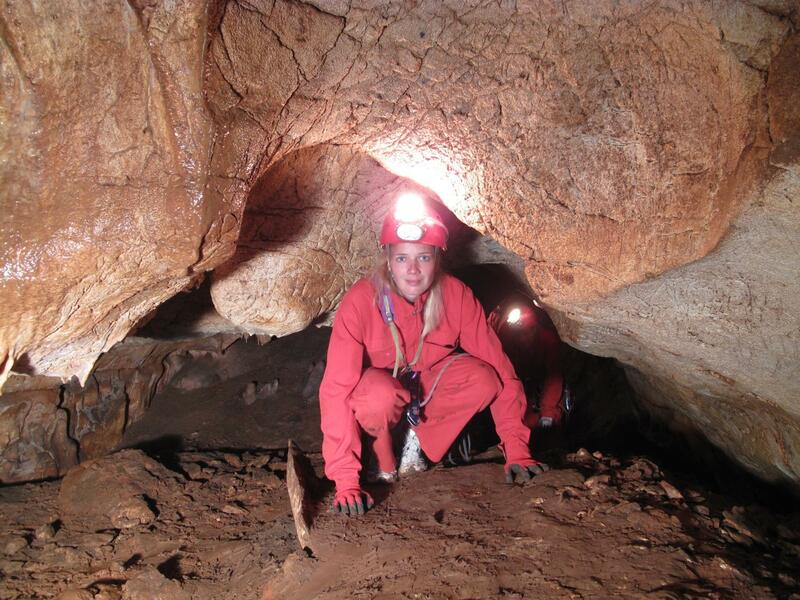 We can organize lunch after caving..
Bring comfortable sport shoes or boots. Traditionally April, May, June, July, August and September have always been the most popular time of year because the weather is better.